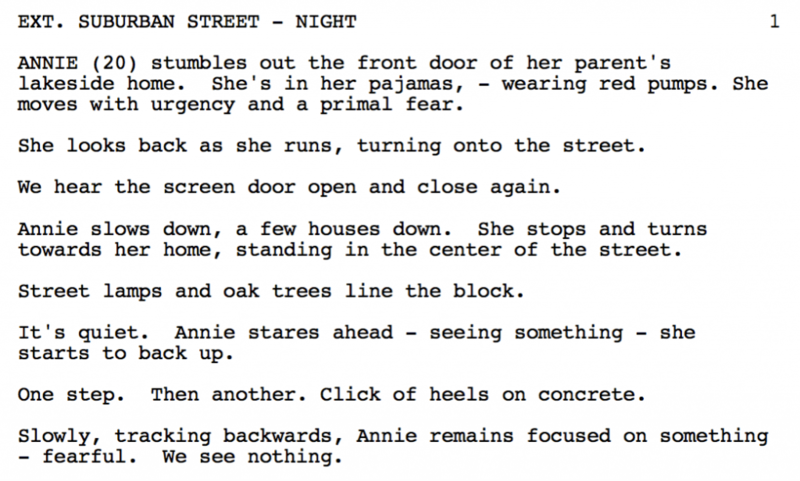 If you’re looking for free movie scripts you’re in the right place. We’ve been strong advocates for the benefits of reading screenplays for a long time as it’s one of the simplest ways to learn how to write. With that in mind, we’ve put together a mega list of the fifty best screenplays to read for aspiring screenwriters. 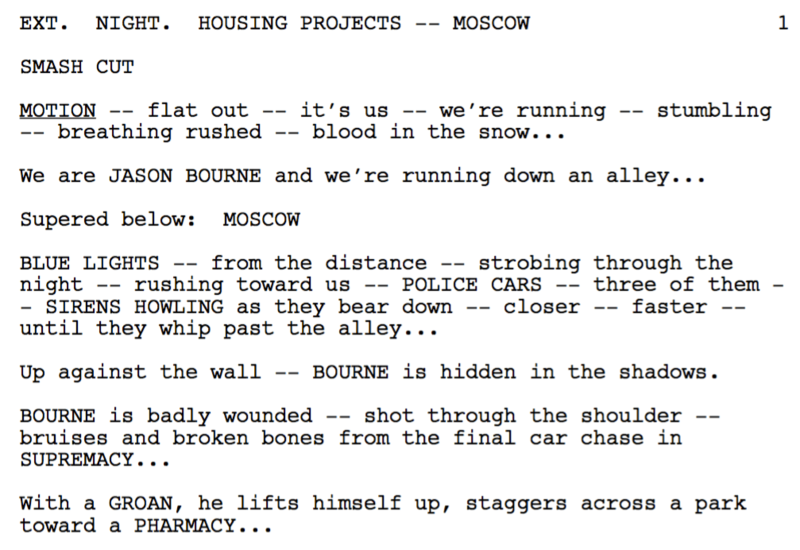 Both “shooting” movie scripts and “spec” movie scripts are included in this list. 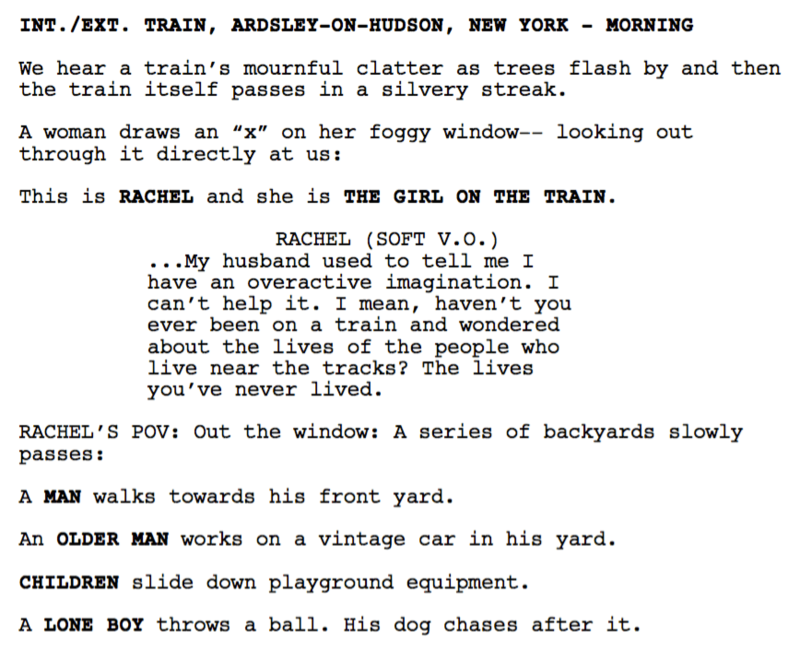 If you’re an aspiring screenwriter trying to break into the industry with a spec, it’s important to ignore all the little formatting quirks that often come with shooting movie scripts. 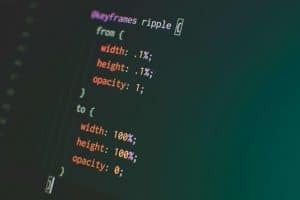 Sluglines with periods instead of dashes, large chunks of descriptive text, excessive use of camera angles and so on, are all expressions of writers who’ve made it. Boy meets girl. Boy loses girl. Boy erases memories of being with girl. 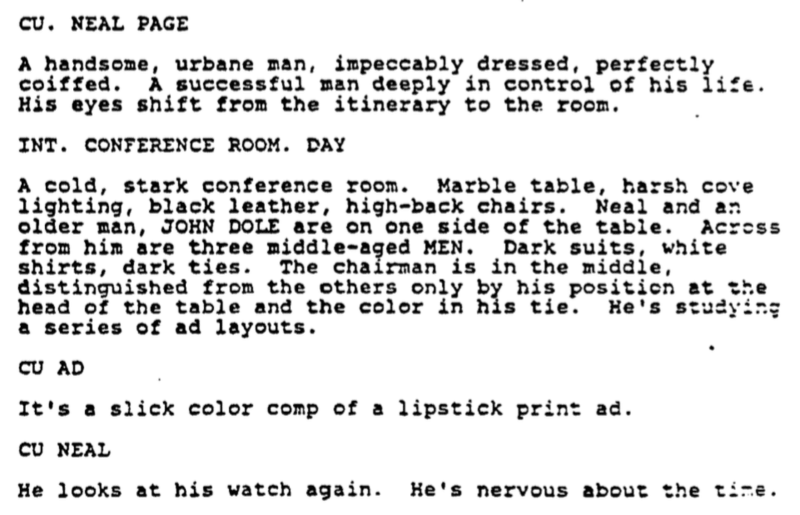 This typically Kaufmanesque story could arguably be called best screenplay he’s ever written. 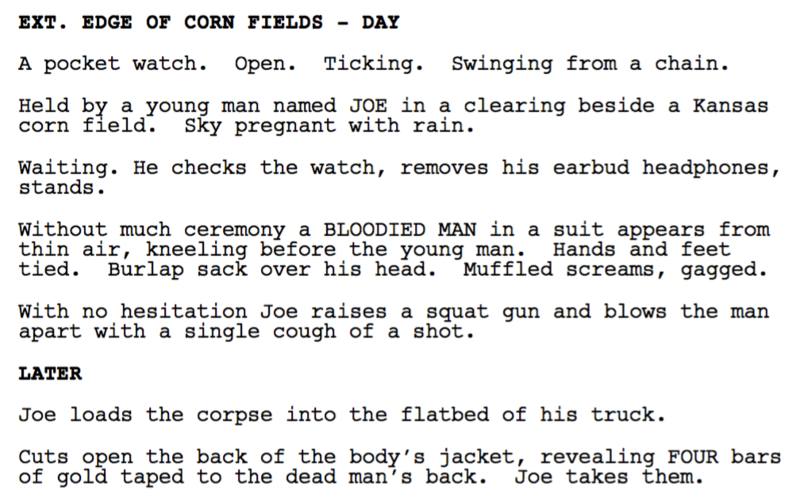 Watch out for the long chunks of description, though, as this style isn’t recommended in spec movie scripts. 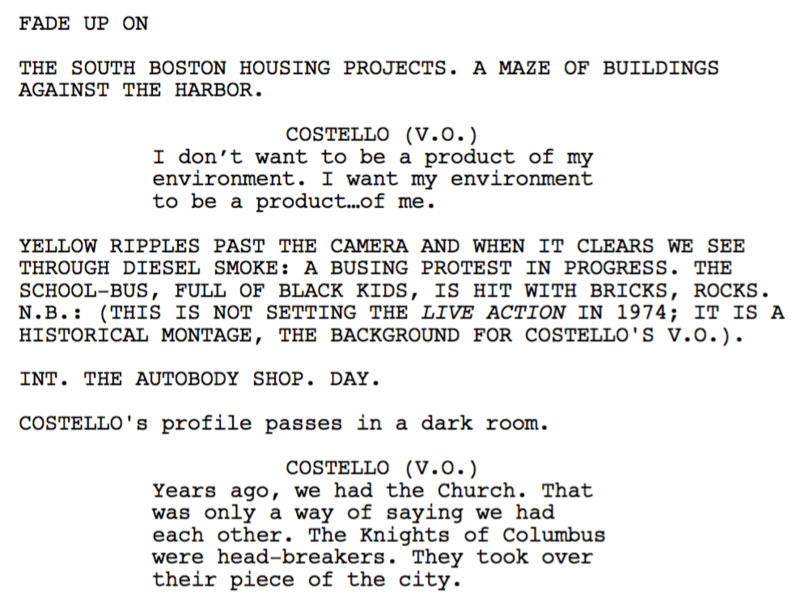 This best screenplay winner began life as Damon’s final assignment for his Harvard playwriting class before he asked Affleck to help turn it into a script. They then set about developing the story into a thriller about a young man targeted by the FBI. It was Rob Reiner who persuaded them to turn it into a drama and focus on the relationship between Will and his psychologist. Easily the best of Crowe’s screenplays to date and the one that broke him into the Hollywood A-list. Earned a Best Screenplay nomination and is a personal favorite of screenwriter Craig Mazin. Based on the novel by Tom Perrotta, this is a skillfully woven tale of suburban angst that retains a very novelistic feel. 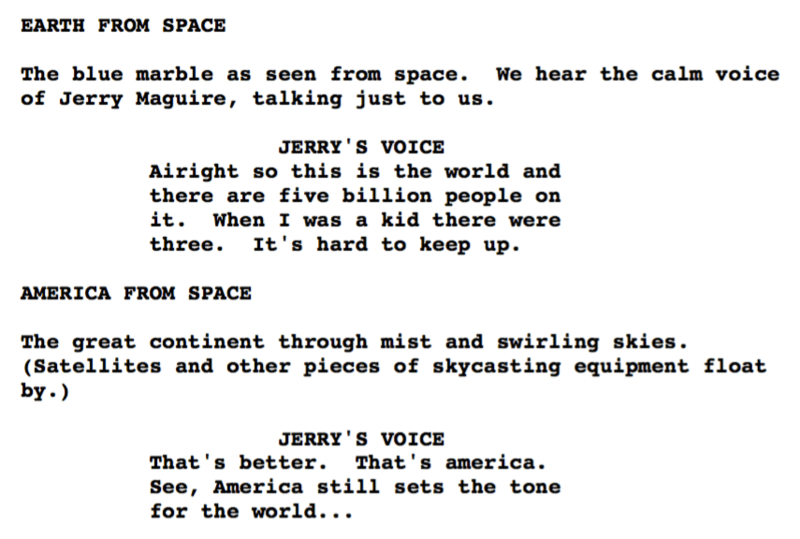 An excellent case study in how to make voiceover work for and not against your script. Coppola spent six months writing a series of short stories and “impressions of Tokyo” that went on to become a seventy-page script. 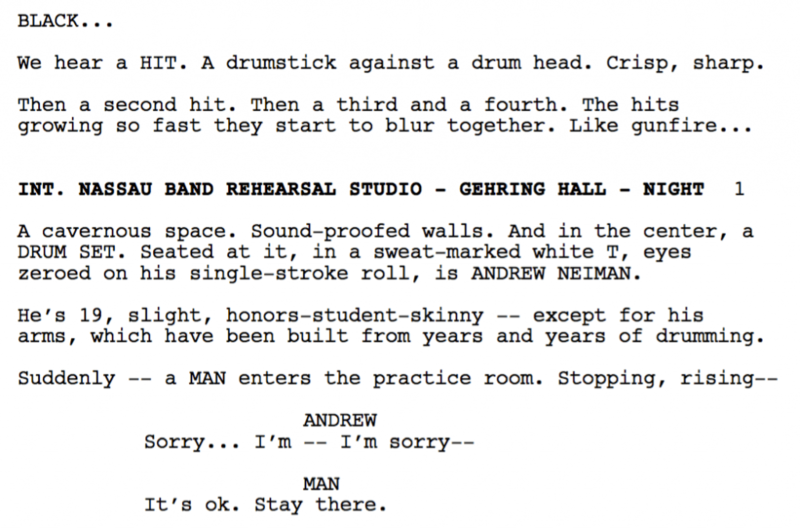 As understated as the movie itself, this screenplay is a real lesson in how to construct “small” scenes that move the story forward and keep the reader interested. 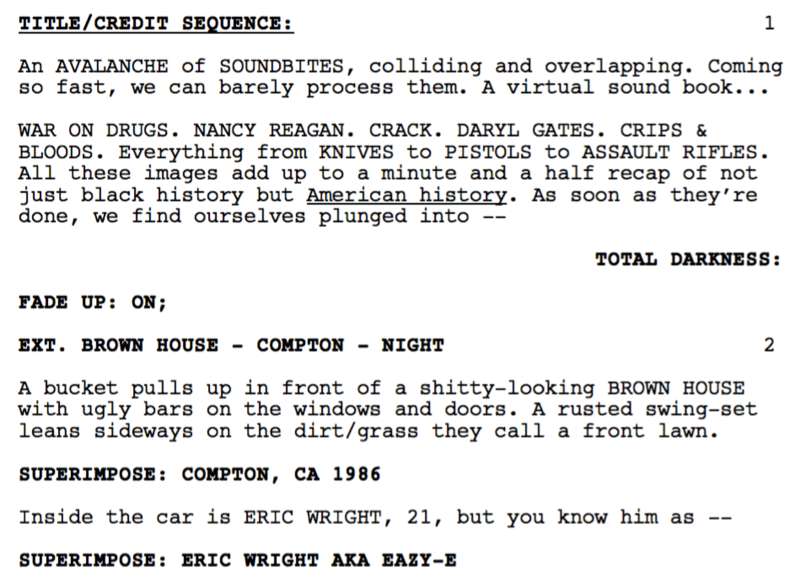 Unsure of what direction the script should take, a first draft arose out of ten months of research, interviewing as many people associated with rap group NWA as possible. The result was this blistering account of the group’s rise and fall and was only Berloff’s second produced feature and Herman’s first. 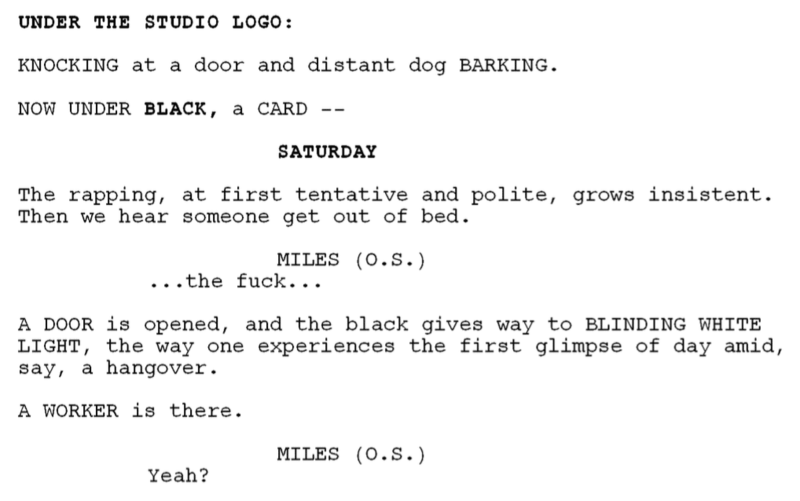 Originally a dark sci-fi thriller set in New York City and titled “The Malcolm Show,” Niccol’s one-page treatment would go on to become one of the greatest screenplay high concepts in movie history. Nominated for the best screenplay Oscar but lost out to the schmaltzy Shakespeare In Love. Like The Truman Show, this is another screenplay that expertly weaves comedy into its overall drama. Adapted from the novel by Walter Kirn, this is a modern classic and definitely one of the best screenplays to read for aspiring screenwriters, no matter what their genre preference. 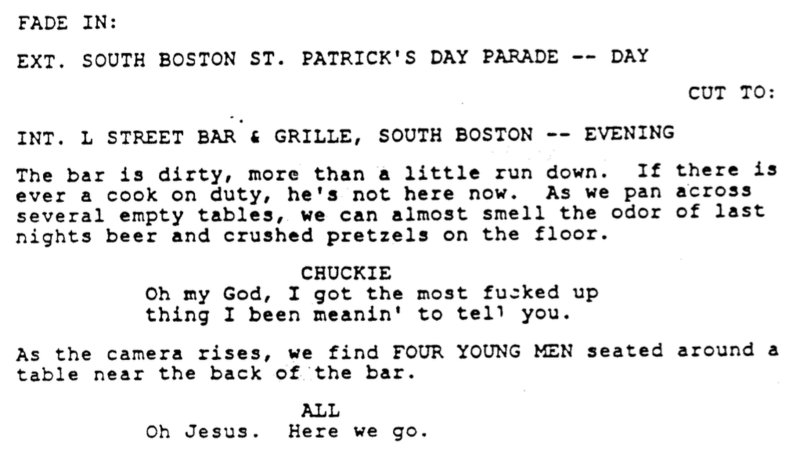 This is arguably a better script than the one McCarthy won the best screenplay Oscar fo—Spotlight. Beautifully tight and sparse writing about a lonely professor learning to loosen up after discovering a couple of illegal immigrants living in his New York apartment. 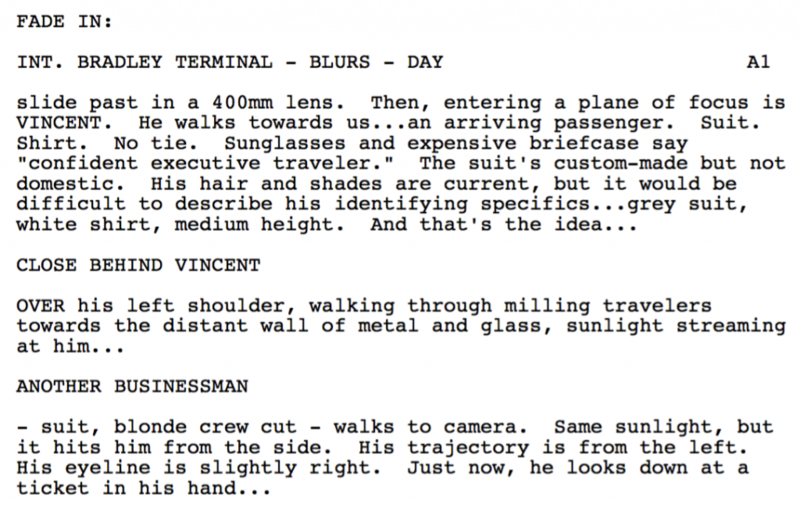 Having already won acclaim as a short film of the same title, Chazelle decided to adapt it into a feature and the result is one of the best screenplays to read in recent years. You can really feel Andrew’s torment and passion in these pages. 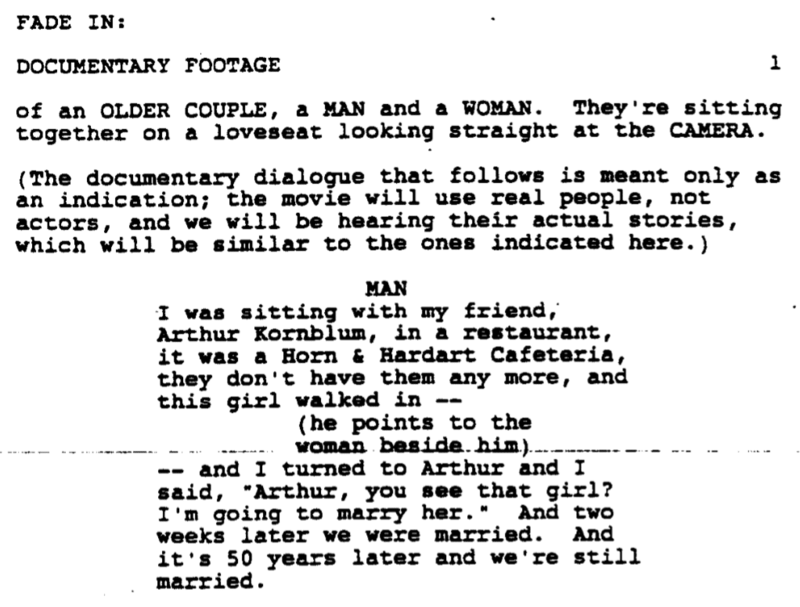 Neustadter and Weber began this screenplay by simply writing down on index cards all of the most painful relationship experiences they’d ever had. 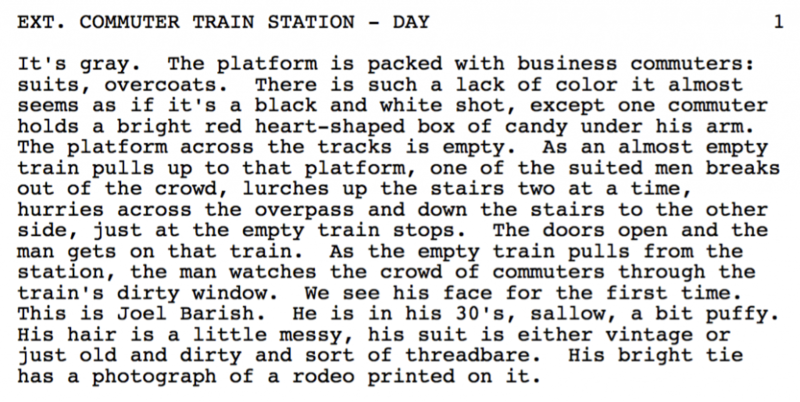 Many of them wound up in the final draft and it’s this mixing of realism with its avant-garde structure that makes it one of the best screenplays to read for the aspiring writer. 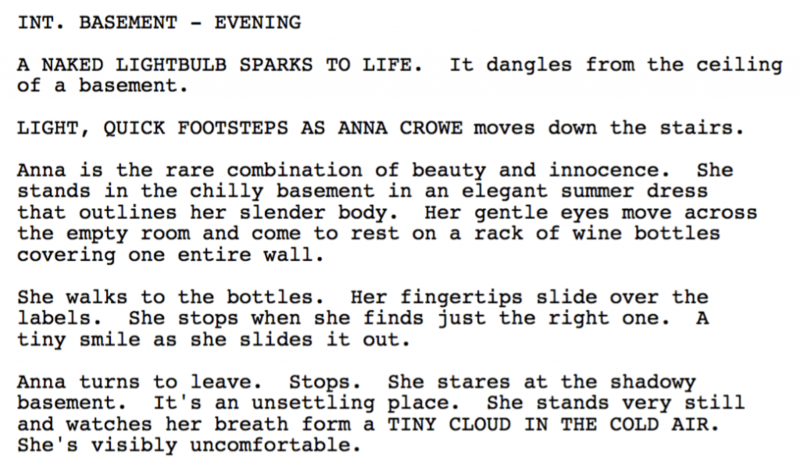 This best screenplay choice broke new ground by having female characters indulge in moments of “poop humor” in a way not seen before on screen. But beyond the infamous wedding dress scene, there’s a heart to this script and a vulnerable protagonist with whom we can all identify. Written on spec by writing team Lucas and Moore (Four Christmases, Ghosts Of Girlfriends Past), this script is a near-perfect execution of a very high concept, original idea. 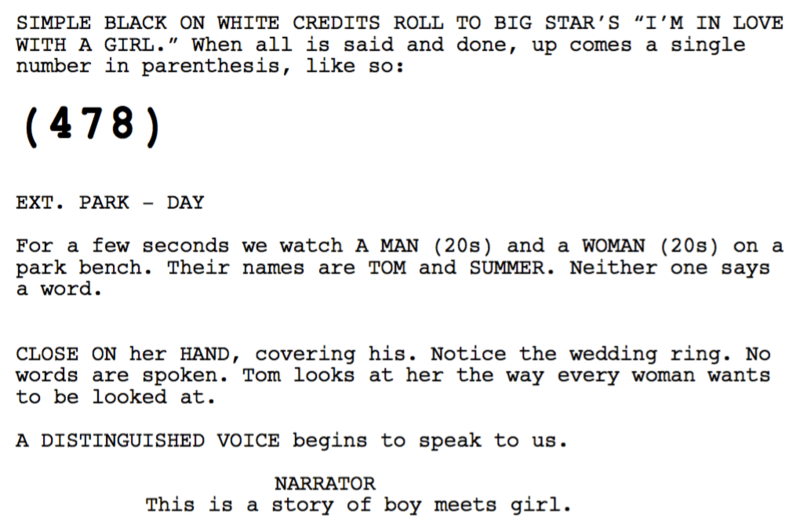 Along with (500) Days of Summer, this is probably the best screenplay to come out of 2009 when it comes to comedies. Bookended by Thanksgiving dinner parties and with a novelistic feel, this best screenplay Oscar winner is a perfect blend of comedy with weighty themes about the meaning of life. While Allen himself may remain dissatisfied with the ending, this is, without doubt, one of his best screenplays to read. Saturday Night Live queen, Tina Fey, turned her hand to feature writing with this adaptation from a book by Rosalind Wiseman. The writing is just as smart, funny and relevant as when the movie first came out over ten years ago. Some may put a movie like Ferris Bueller’s Day Off or The Breakfast Club as their choice for quintessential John Hughes comedy but, for us, it’s this Steve Martin/John Candy two-hander. 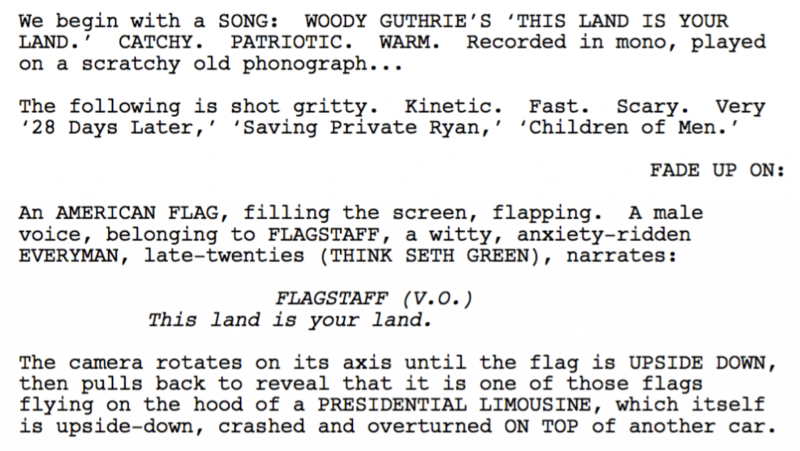 Without a doubt, the best screenplay to read if you’re writing a comedy road trip movie. Or any comedy for that matter. Rex Pickett’s novel begins with Miles at home and takes a while before he hits the road with Jack. Payne and Taylor, however, get the story moving right off the bat by opening with Miles getting ready for the trip, and the pace doesn’t let up in this darkly funny story of middle-aged angst. Dismissed by some as Charlie Kaufman-lite, this is the best screenplay to read to get your creative juices flowing if you write dark comedy. Imaginative, thought-provoking, high concept and, best of all, extremely funny. 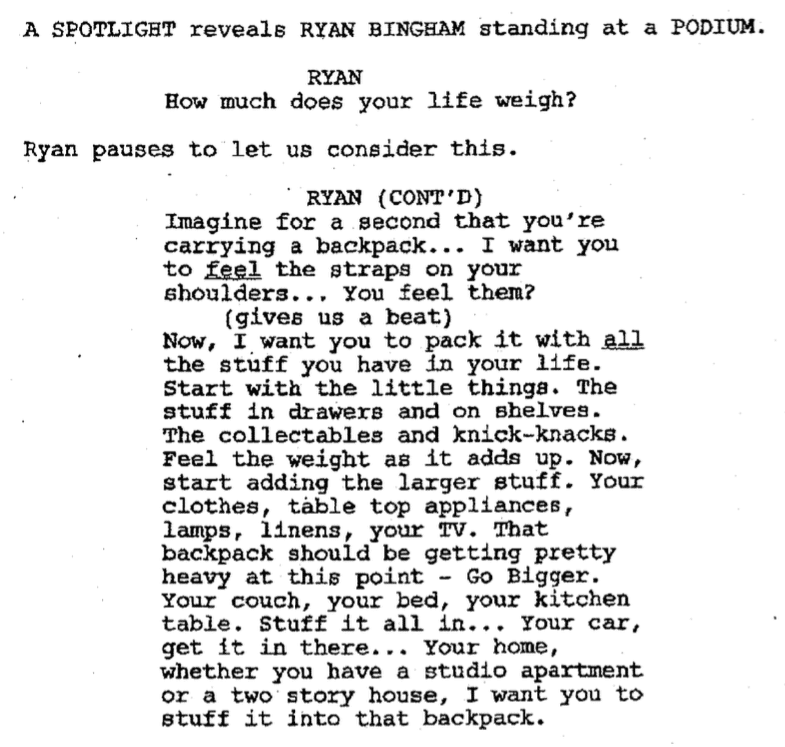 One thing many aspiring comedy screenwriters fail to do is add set pieces to their spec screenplays. 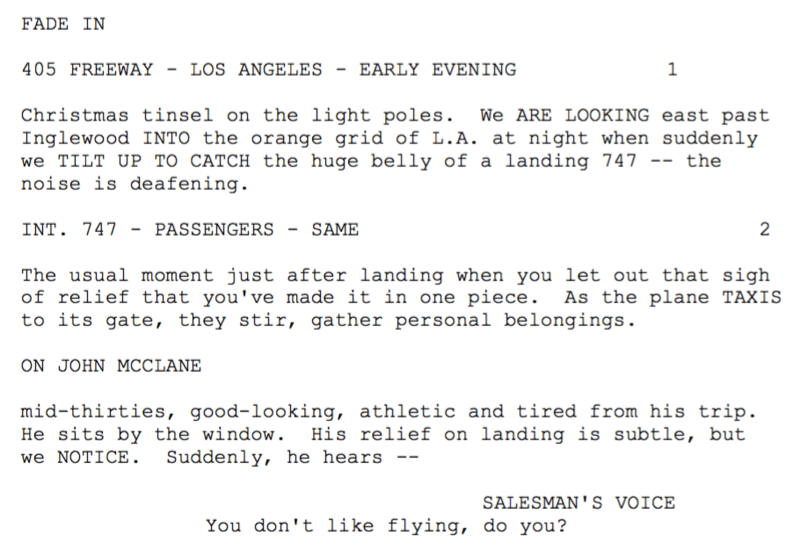 From Ted picking Mary up for prom, to getting arrested for cruising, this is the best screenplay to learn how to elevate a simple situation into a big comedic set piece. Heavily influenced by Woody Allen, this screenplay grew out of a simple conversation between Ephron and the movie’s director, Rob Reiner: can a man and woman ever remain just platonic friends? The result was this best screenplay Oscar nominee and a classic of the rom-com genre. 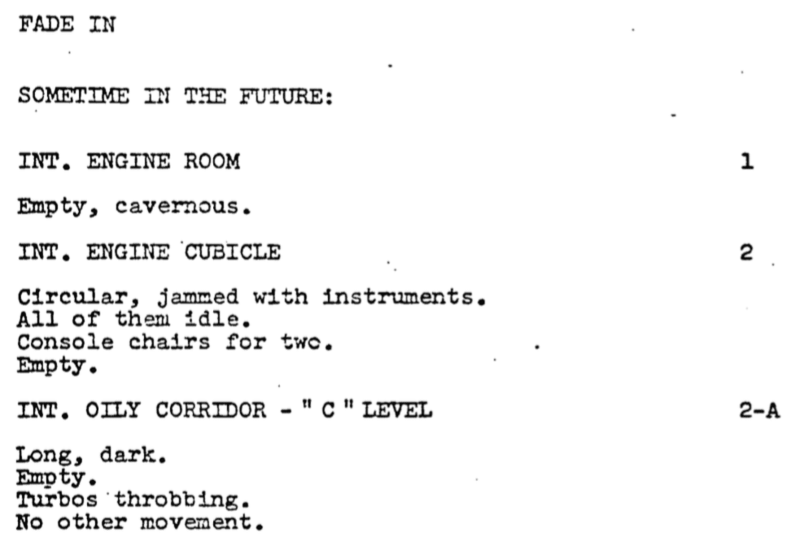 Reading this script feels like you’re watching Peter Greengrass’ choppy, frenetic direction. 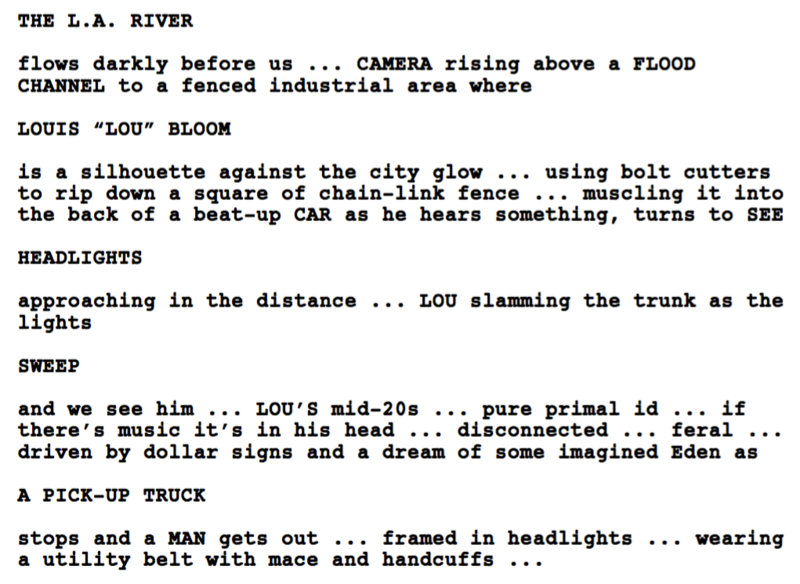 It’s all right there on the page and studying this script will really show you how to give action scenes a sense of urgency. Christopher Nolan helped bring a much darker edge to the Batman franchise with Batman Begins, and this collaboration with his brother is an even better screenplay. Absorb all you can from this exceptional piece of work. De Souza reportedly wrote the script to this seminal action movie as if the antagonist, Gruber, were the protagonist. He said, “If he had not planned the robbery and put it together, Bruce Willis would have just gone to the party and reconciled or not with his wife. You should sometimes think about looking at your movie through the point of view of the villain who is really driving the narrative.” Wise words indeed. Griffin took the story and script from the 1960 version and, with the help of Steven Soderbergh’s direction, created one the coolest heist movies of all time. 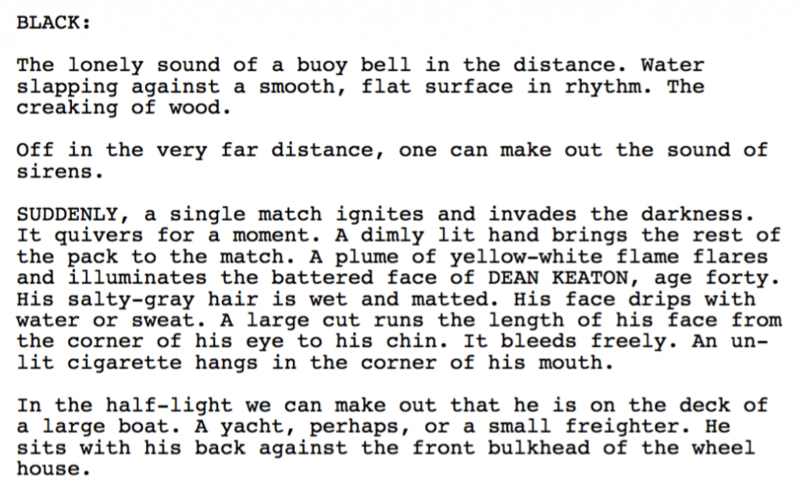 Definitely one of the best movie scripts to read and study if you’re an action writer. Adapted of course from J.R.R. 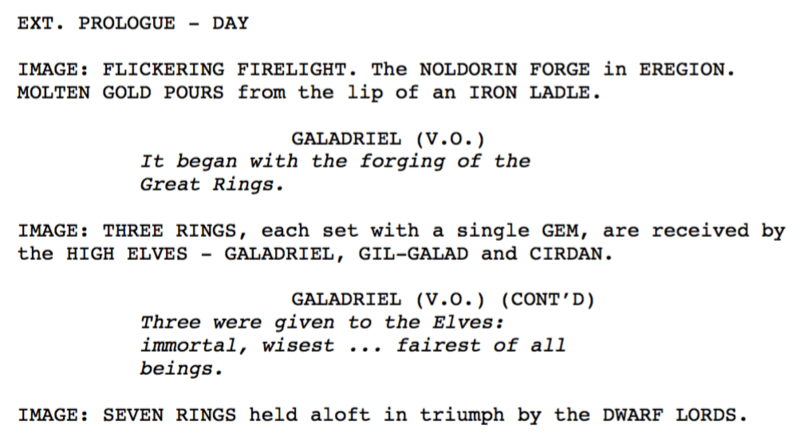 Tolkien’s novel, Walsh, Boyens, and Jackson approached writing the screenplay by making significant edits and zeroing in on much more on Frodo’s story with the ring. Absolute required reading for any aspiring fantasy/adventure writers. There are so many writing lessons to be learned from reading this best screenplay Oscar-nominated script: the way all the characters’ emotions are chosen for optimal conflict, the way Riley isn’t interested in stereotypically “girlie” pursuits but is a hockey enthusiast, the way the theme of emotions connecting people together is thread through her journey, etc. Yet another Pixar classic. 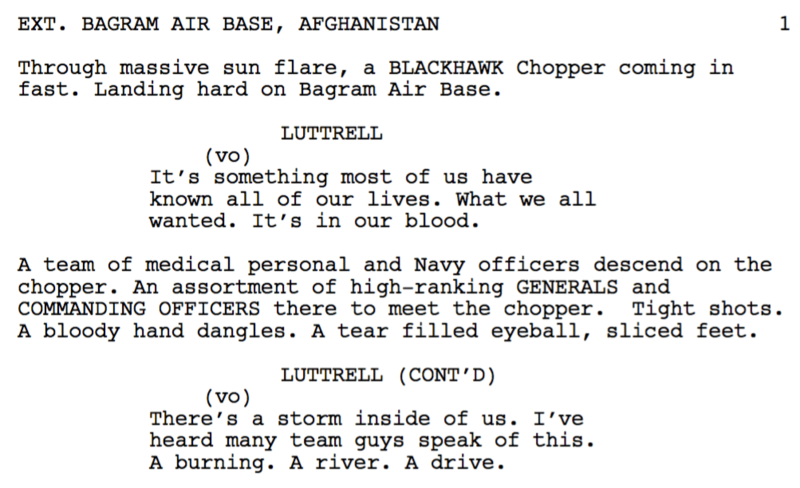 The big takeaway from reading this screenplay is the value of research. Berg met the families of the deceased, had the story’s protagonist, Luttrell, move in with him while writing the script, and embedded with Navy Seals for a month in Iraq. Now that’s dedication to the craft. Johnson has said of writing the script he wanted it to be character based rather than focus on the mechanics of time-travel and drew inspiration from movies such as The Terminator, 12 Monkeys, and Witness. 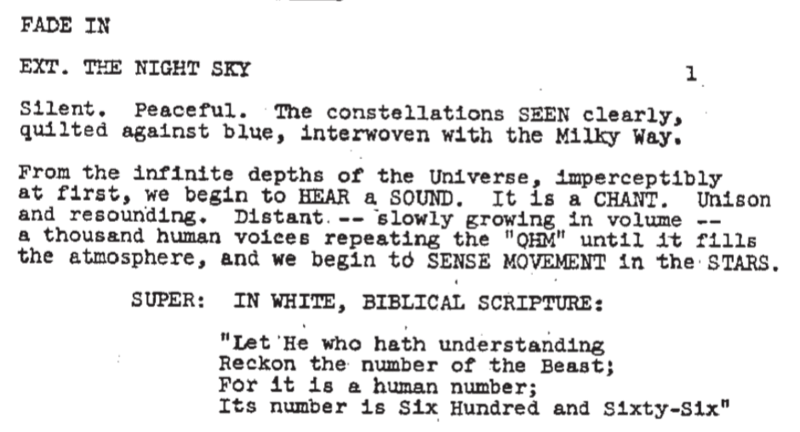 One of the best screenplays to read if you love mixing sci-fi with ironic humor and time-travel. The Wachowski brothers pitched the script to Warner Bros. who were initially skeptical of its philosophical musings and obviously tricky special effects for the time. The brothers then decided to bring on board underground comic book artists Steve Skroce and Geof Darrow to storyboard the entire film, shot-by-shot. Warners were impressed and the rest, as they say, is history. Having kicked the idea around for several years, Reese and Wernick originally wrote the story as a TV spec. It was director Ruben Fleischer who helped develop it into a feature by adding in a specific destination to the characters’ road trip in the form of the amusement park. Beattie originally had the idea for the movie aged seventeen while riding in the back of a cab in his native Sydney. He worked up a two-page treatment called The Last Domino, which he turned into a screenplay and was later lucky enough to be put in touch with Darabont and then Mann who both contributed revisions. Monahan’s reworking of the original Asian gangster movie Infernal Affairs as a fight between Boston’s police department and the Irish American crime scene is very impressive. In fact, it earned him a Best Screenplay (Adapted) award from not only the WGA but also the Academy Awards. This script is a great example of the “self-contained” thriller, perfect for any budding screenwriters looking to film on a low budget. Dowling’s original pitch involved an airport security guard’s son going missing on a business trip, and it was Ray’s idea to make the protagonist female and to place more emphasis on her shattered psyche in a post-9/11 world. 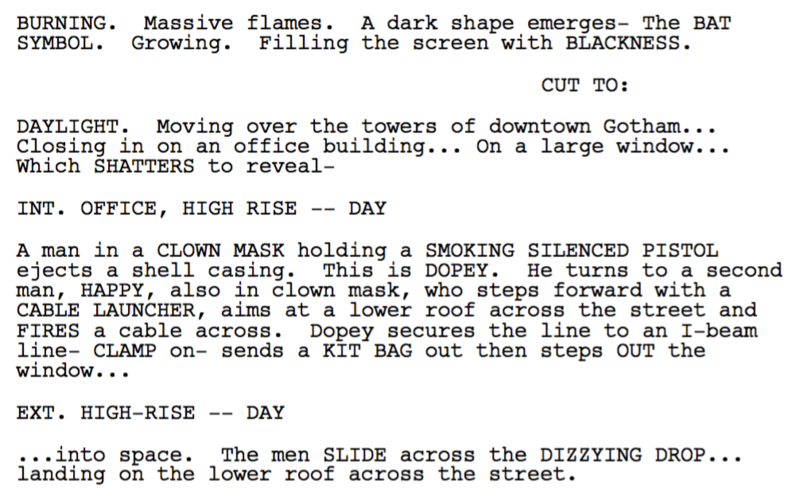 Yet another best screenplay nominee based on a novel. Much like the screen adaptation of Nick Hornby’s High Fidelity, this screenplay also moves the action from the UK to the US and expertly plays with the reader’s perceptions of the protagonist, Rachel. Gilroy had the initial idea for Nightcrawler way back in 1988. He spent years developing the screenplay, playing with making Lou as a traditional “good guy” protagonist and with making the story a murder mystery. 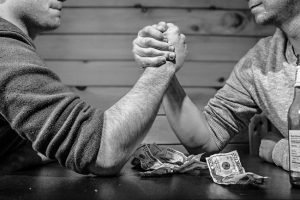 In order to break with the stereotype, though, he finally hit upon the idea of creating an “anti-hero success story” and the result is this exceptional (slugline free) screenplay. This Coen brothers’ adaptation from the novel of the same name by Cormac McCarthy is notable for its refusal to rely on dialogue to move the story forward. 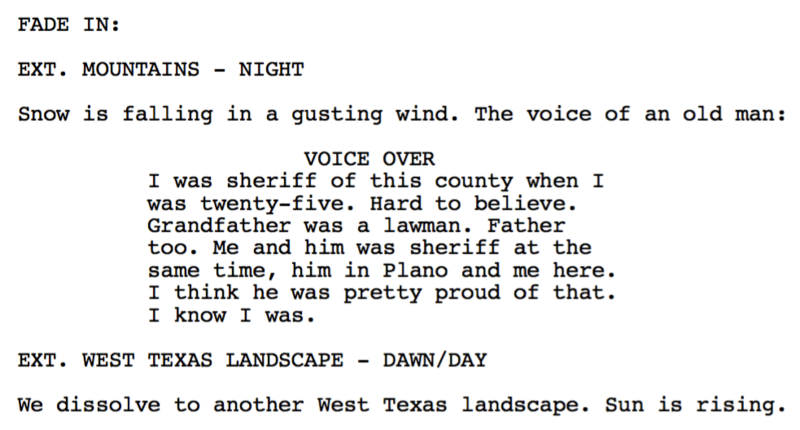 Reading the script you can see why Josh Brolin, who plays Llewelyn Moss, was initially nervous: “I mean it was a fear, for sure, because dialogue, that’s what you kind of rest upon as an actor, you know?” Won the best screenplay (adapted) category at the 80th Academy Awards. Guzikowski based the script on his own short story, which in turn was inspired by The Tell-Tale Heart in which a father gets revenge on the man who kills his kid in a hit and run by sticking him down a well. 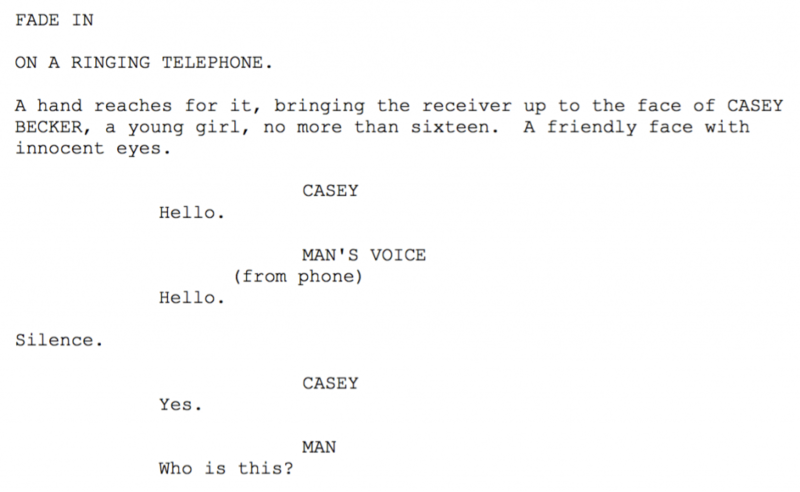 The best screenplay we’ve read from an upcoming thriller writer in a while. Sure, many of the tropes have been copied almost to the point of cliche by a generation of later writers, but this script was groundbreaking for its time and is impossible to ignore if you want to learn how to become a screenwriter. When asked about whether he was surprised about the success of Training Day, Ayer replied “No. That was a shocker. I wrote that script on spec out of frustration. I was trying to make sales writing mediocre movie scripts, I guess, trying to anticipate what the studios would buy, and I wrote that for myself. 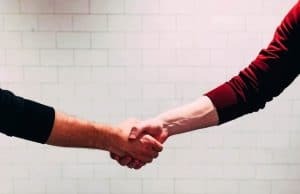 I was tired of second-guessing the system and I just wanted to say something.” Great advice for any aspiring screenwriter. McQuarrie and director Bryan Singer both worked on the initial concept of five guys meeting in a police line-up, from an idea that occurred to Singer from Captain Renault’s line in Casablanca: “Round up the usual suspects.” McQuarrie then worked up this masterfully complex story from one of his own previously unproduced movie scripts. Famed for its minimal, vertical writing style, O’Bannan would say of his original draft, “I didn’t steal Alien from anybody. I stole it from everybody.” Classic 1950s sci-fi films such as Forbidden Planet, Thing From Another World and Planet Of The Vampires— they’re all in here. Although the screenplay only credits Gunn and Tolkin as rewriters of this George A. Romero script, in fact, Scott Frank (Out Of Sight, Minority Report) was also brought in to add some oomph to the action sequences. A worthy remake of the 1978 original and one of Stephen King’s favorite movies. 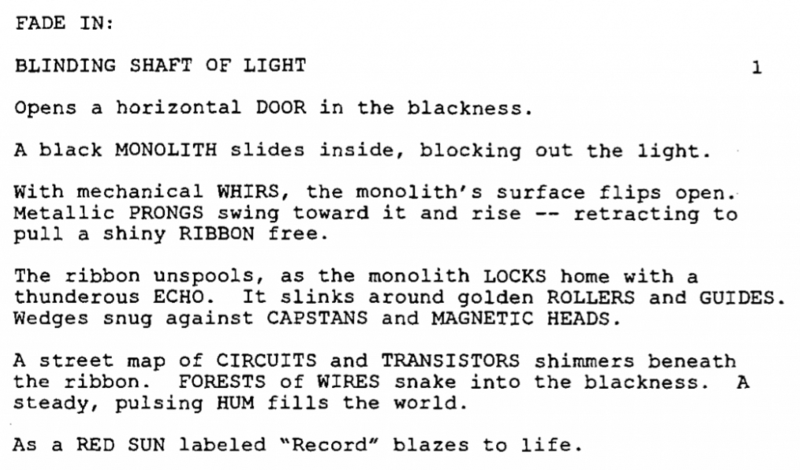 The origins of this screenplay—the best of the Final Destination series—are just as creepy as the film. As Reddick recounts, he was given the idea by a real-life story of a woman whose life was saved by her mom who warned her not to take a flight that wound up crashing. Reddick then wrote the script as an X-Files spec but was advised by a friend to reshape it as a feature. 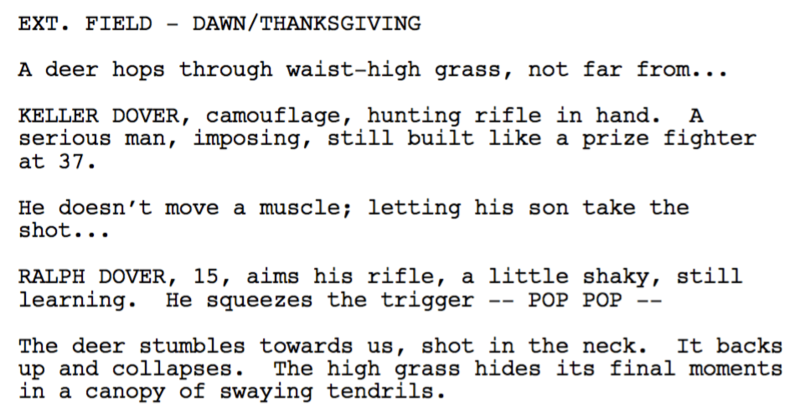 Not all famous movie scripts come from great loglines, as Mitchell found while writing It Follows. Realizing that the concept of a young woman being followed by a supernatural force after a sexual encounter sounded like “the worst thing ever,” he refused to discuss the story when asked about it. 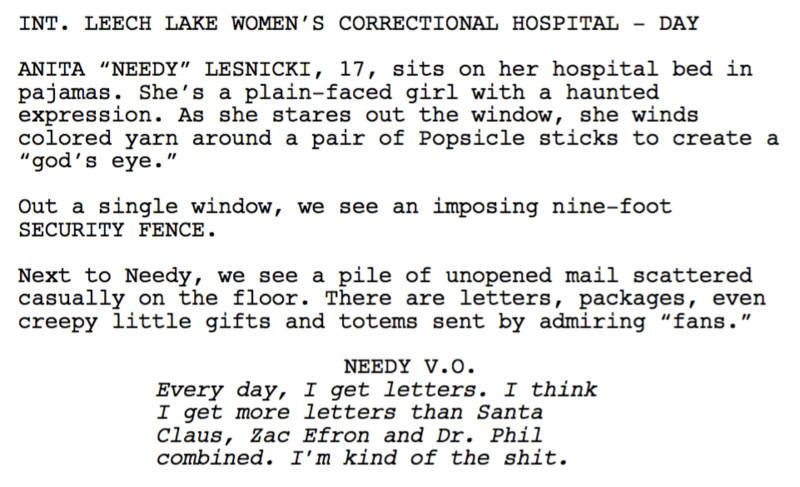 Fresh off her success with Juno, Cody originally intended to write a straight, slasher horror movie, but “the humor just kept sneaking in.” If you’re writing a horror movie with heavy doses of comedy involved, this is one of the best scripts to read. Seltzer was commissioned by the producer, Harvey Bernhard, to write a movie about the Antichrist after Bernhard was given the idea by a friend, Bob Munger. It took Seltzer exactly one year to write the screenplay and it would go on to be one of the most iconic horror movies of all time. Frank was brought in to do a rewrite after Kruger had penned three drafts of the script and eventually it went into production still incomplete. However, despite the inevitable complaints from fans of the original Japanese movie, Ringu, this is one of the best horror movie scripts out there—one that’s well worth breaking down and studying. This script was born purely out of budgetary restrictions as writers Whannell and Wan deliberately wanted to write a horror film as cheaply as possible that they could finance themselves. Inspired by low-budget movies such as Pi and The Blair Witch Project, they decided on the concept of two actors, one room, and one dead body. Easily one of the best screenplays to read for horror writers. 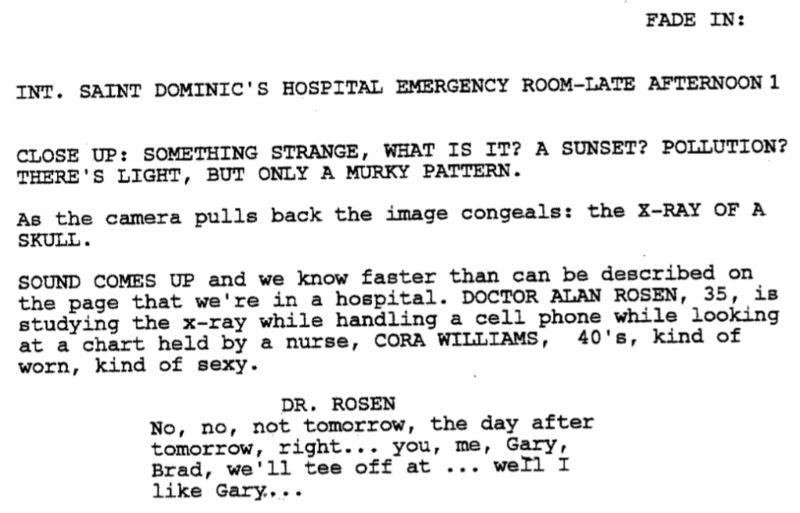 Holed up in a hotel room in Palm Springs and desperate for a script sale, aspiring writer Williamson knocked out a draft of the then-titled “Scary Movie” in three days from a treatment he’d already written. 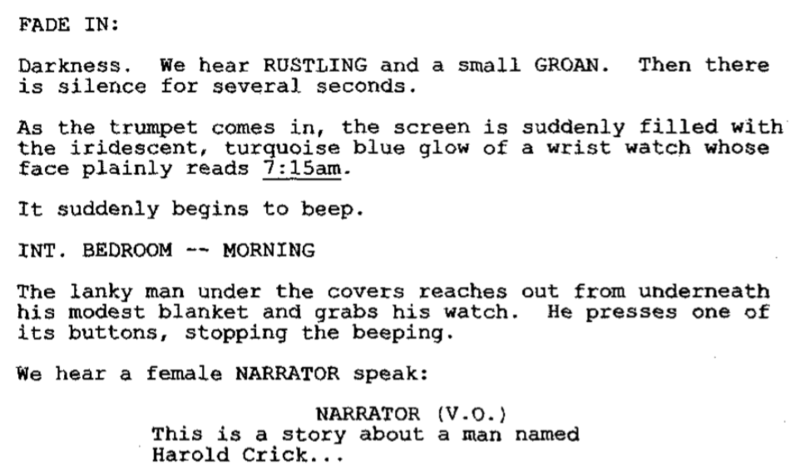 Granted, this was in the golden age of spec sales in the 90s, but if you can write horror movie scripts as good as this, you’ll get hired. BONUS SCREENPLAYS: You can download five more of the best screenplays to read in each genre in this post. Read as many movie scripts as you can and watch your screenwriting ability soar. 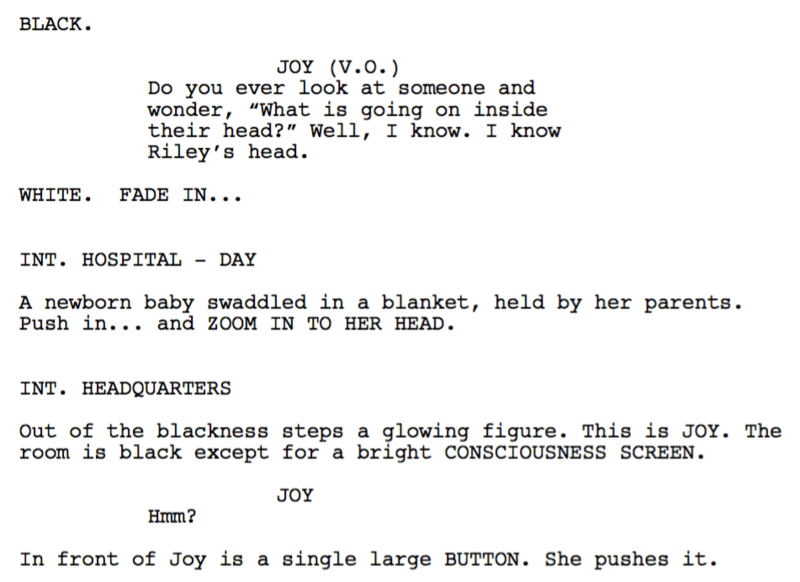 The best screenplay writers put everything right there on the page to make you connect with the story. Now it’s up to you to extract it and put it into your own movie scripts. Which Best Screenplays to Read Did We Miss? 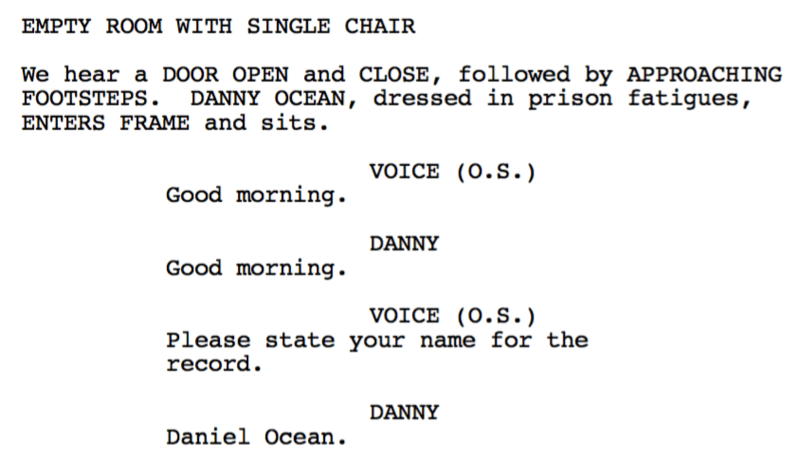 What are your favorite movie scripts? Which movie scripts do you consider required reading? Are they on our list? If not, please comment below and let us know what screenplays you think we’ve missed out. This is a fabulous haul of screenplays – thanks so much! I especially appreciate being able to download them so I can read them even when not connected to the internet. If you can give us some of the iconic Rom-Coms I would really appreciate that. Notting Hill, Four Weddings and a Funeral, You’ve Got Mail, Sleepless in Seattle. And some of the British films would also be appreciated – Pride, The Full Monty, Calendar Girls, Trainspotting, A Fish Called Wanda, Love Actually. Thanks! Read every one and i enjoyed it. Thank you for sharing this cuz i like reading them. 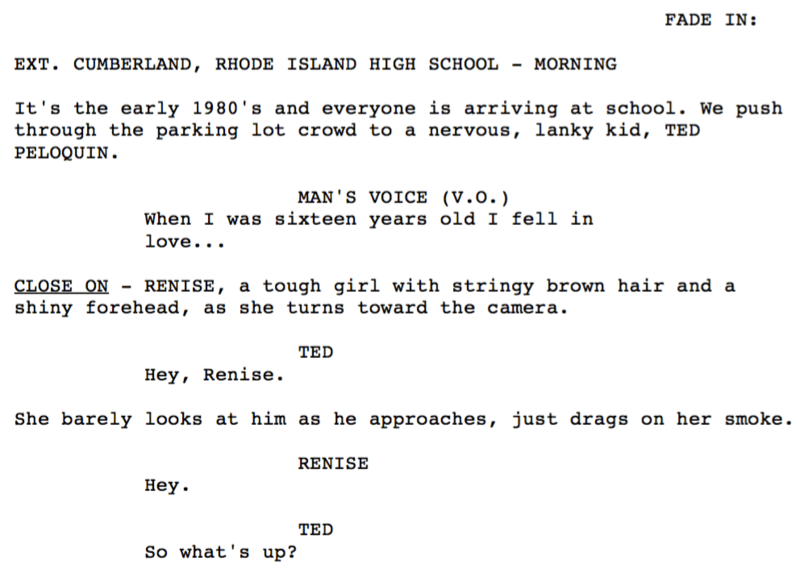 My favourite script id love to read is Ted. Keep it up. The list is impressive, but I would have liked to see Three Days of the Condor among that group of laudable scripts. Thank you for sharing. I would have liked to see a few Fincher screenplays. Also more science fiction like Predestination, Arrival…. 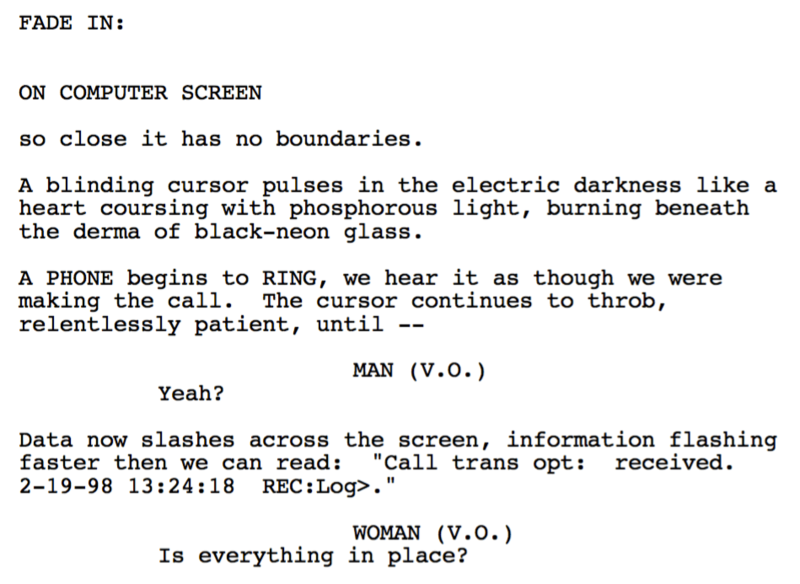 David Fincher doesn’t written a screenplays, so…? Fantastic, great work guys. thanks so much for taking the time to put this together. No problem Julie-Anne, hope you find them useful. I don’t have time to download all atm, I hope you keep this page up for awhile. Amazing! Next time please include mike Leigh and David fincher films. No Wes Anderson on this list??? Apocalypse Now, Barry Lyndon, Blade Runner, and specially The Fight Club. Thanks Florencia, really appreciate it. Many Thanks guys, saved all on my iBooks, currently working on my second feature, all these references really help. Great – good luck with the draft! Thank you so much! That’s a lot of reading material and hopefully, I’ll become a better writer because of it! You really shouldn’t refer to the Wachowskis with their dead names any longer, as they’ve been famously out of the closet as trans for quite some time now. I’d add Tarantino’s Inglorious Basterds.. That’s a great one! You guys rock, thank you so much! Hi. Do you have Paris, Texas available for download at all? 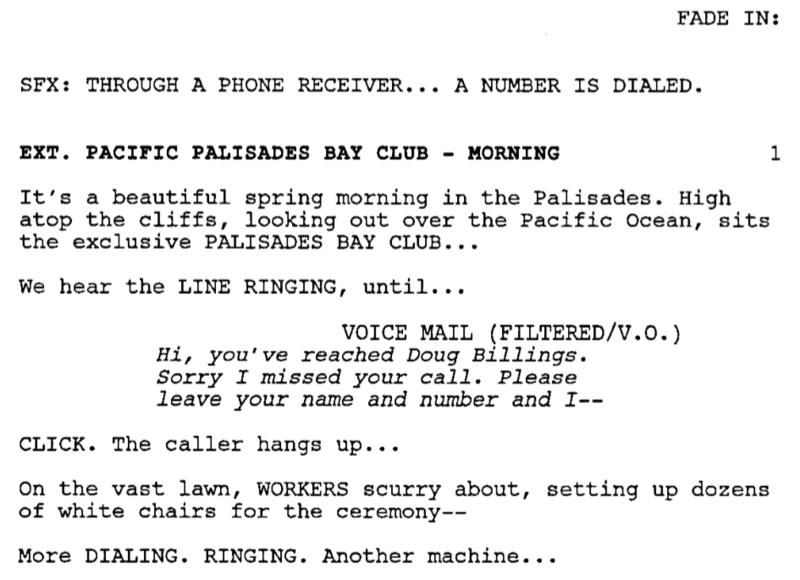 You’ll find the script to American Beauty if you follow the bonus link at the end. The only reason I mention this is because you’ve asked. Do you know where I can get scripts for the 1950 Cyrano de Bergerac and Steve Martin’s Roxanne? Thanks Don. You can buy the Roxanne script on Amazon, not sure where you can get 1950 version though. Thanks Don. Sorry couldn’t find these. Τhat is such a great post. Keep it up guys, love this site. Great scripts – thank you!! Firstly it’s Jerry McGuire not Jerry Maguire. Secondly I’ve read most of these anyway. Reading all these is going to take me some time but thank you so much for this. It’s definitly something I wasn’t doing enough of. Love this website! You guys ROCK! Do you have a copy of The Hunger Games? Here’s an early 2012 draft. This was the best version we could find. A big thank you. I’m grateful beyond words can ever tell. I truly believe these scripts are going to make me a good writer. Thanks a lot. My favorite is planes, trains and automobiles by John Hughes! JH is the best! Too many cheesy screenplays. Just a few i like. No 1 Eternal Sunshine certainly ranks high. Eternal Sunshine’s a fantastic movie, and screenplay. I’m such a big fan of Sofia Coppola and her genius script lost in translation. Thanks for sharing it with others. The second I saw Eternal Sunshine, I knew I was in the right place. Thank you for this fantastic list! Thanks – yes High Fidelity’s great. 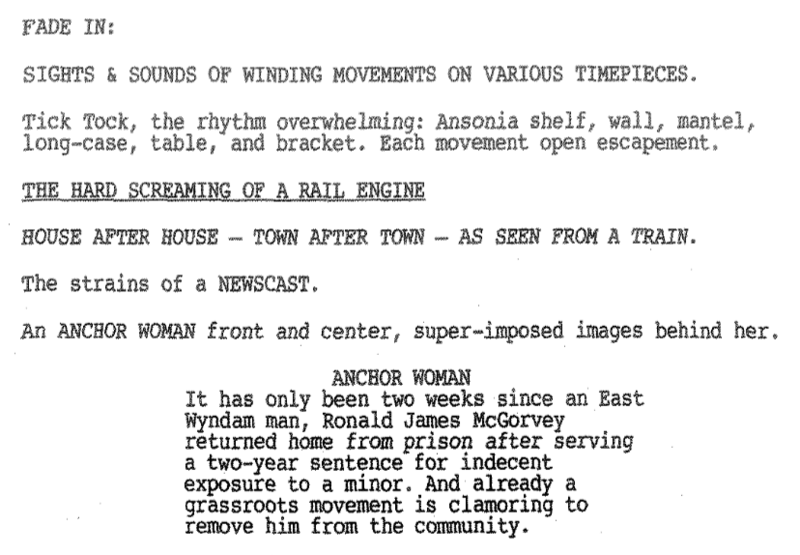 I think the 1969 movie Women in Love script is great to have, even if I did not see yet. Hope that happens soon. Wonderful!! Thank you guys !! Who really needs film school when you have an amazing library of scripts you’ve presented to us, I will pick one each from different genres and delve into it. Thank you so much! Exactly 😉 Thanks for the comment, Dunstan. THANKS BROTHER FROM ANOTHER MOTHER!!!! Though I’d suggest You read “Raiders of the lost ark.” It has to be #1 on the action/adventure category. Love love LOVE this, thank you soooo much people. A Few Good men is one of my favourites that I would have loved to see too. I just grabbed a bunch of them. I thought Reservoir Dogs was a copy of a Hong Kong flick, one starring Chow Yung Fat. La Grande Belleza… I’d love to read it. I’ve herd it’s written as a novel and Paolo Sorretino used to add music to feel the atmosphere while reading. Please add this Beauty in! Thank you one million times over – these are awesome!!! This site is like finding a treasure chest. Thanks so much! Thanks Jeff – welcome aboard! Good Will Hunting, The Truman Show, Jerry Maguire, and Bridesmaids. I’m reading one a day! Thanks so much for this list!!! Can’t wait to dive deep with these this weekend! Chinatown (1974)… Without a doubt one of the top 50 screenplays out there. Thank YOU! just a little problem… it seems The Bourne Ultimatum download link isn’t working… or is it me? Thanks for the heads up, Remy, fixed! Hey Guys, would be great to have The Descent Part I, Unbreakable, Marathon Man, Split, Interstellar and Red Sparrow screenplays available for download. Great site thanks, I would love to see the scrip for About Time and also Upside Down, The Majestic, The Adjustment Bureau, Source Code, Oblivion and Edge.of.Tomorrow to name a few. I wanted to thank you for sharing this with others and solving the problem of writing a script. If its not too much trouble I would like to ask you some script questions in private. Hi Hanieh, thanks for the comment – yes please sign up to our newsletter where we answer all reader questions. Include the script by satyajit ray from india.appriciated,thanx. Thank you! Excellent resource. Would love to read The Exorcist, Inception, Captain America The Winter Soldier, and The Silence of the Lambs. I received the subscription email a few days ago and procrastinated before opening this link. And when I finally did, I was half expecting to get merely a few pages and got directed straight to a paid subscription site for the full script. The fact that you’ve proven me wrong is just amazing. I feel like a kid in a candy store now. You’re welcome Putri – enjoy! I love it! Thanks scriptreaderpro.com, you are amazing! Best to luck to all of you who are working valiantly on your scripts! Wow!!! I’m totally in awe of the work you guys are doing!!! I am new to scriptwriting but you’ve simplified a lot of things for me and for that I’m eternally grateful! That’s so great to hear – thanks, Tiffany! Thank you for this amazing resource! Would love to read the screenplay for some classic drama, Ordinary People and All The President’s Men come to mind. Thanks! This is an amazing service you guys have provided. This will give young inspiring screenwriters to have a greater opportunity to make it and give new voices a platform in the industry! Thankx! Thanks for the feedback, Mohamed! I wish you guys had the screenplay Set It Off. It’s amazing movie. Thanks, Jack – will check it out. This is awesome —but I was hoping to see some examples of successful Bio-Pics/Period Piece ( 100 years ago) That is what I am working on now —a film adapted from someone’s autobiography ! Any suggestions? You have a lot of great movies in here…some Mainstays…but seriously great. It’s good to learn more about iconic screenplays. 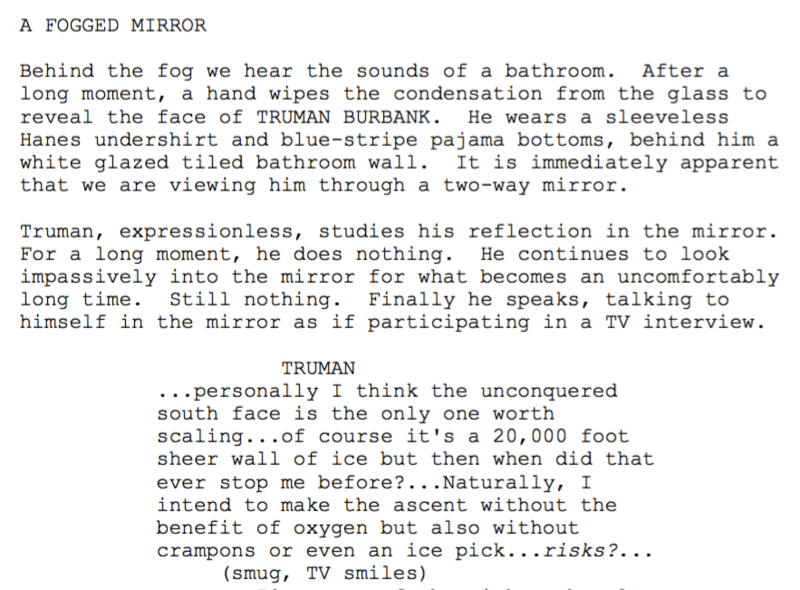 My son wants to try and make transcripts for films, so I’m sure he’ll want to read this. Good Will Hunting would be great for him to study, I think! Thanks a lot you guys. I think I was leaping, now I believe I run. “White Hunter, Black Heart.” A 1990 film starring Clint Eastwood. Probably one of his best performances. Great film. That’s great, thanks for the comment, Lara! The Dark Knight link doesn’t work. It takes you to a website. 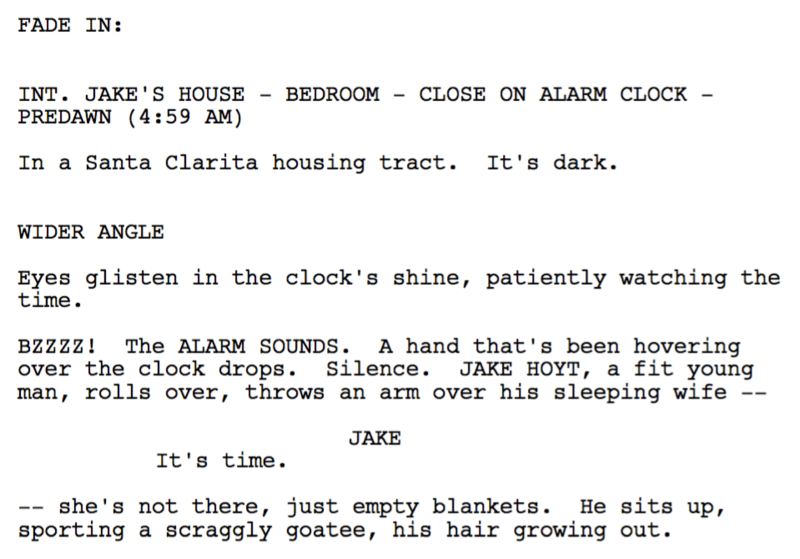 Nice this screenplays are helped me lot to write my script. hey ya, this is so awesome and very helpful! Do you guys have any sports dramas, have and idea for a story and Id love to see how the sports action mixed with dialogue and general scenes. ..NO IDEA HOW THIS IS MISSING?! Thank you So much for such great scripts, l could see pictures, movements just from reading…Awesome. My choices are pretty high brow and combinations of genres. My favorite genre is crime/thriller. I saw The Usual Suspects, which I downloaded, but my choice is the foreign film, City of God. For comedy, alone, the Woody Allen movie, Blue Jasmine. Horror , with a dash of comedy, another classic, American Werewolf in London. For Drama, One Flew Over the Cuckoo’s Nest. And finally for action, a Jackie Chan film, The Foreigner. Those are my choices. Love this script service! Skillshare and today it’s officially live! design to fashion – it’s the Netflix of learning. SKILLS, I’d appreciate if you’d share it with them too. thanks for your sharing, so useful. Awesome! Thank you for sharing! 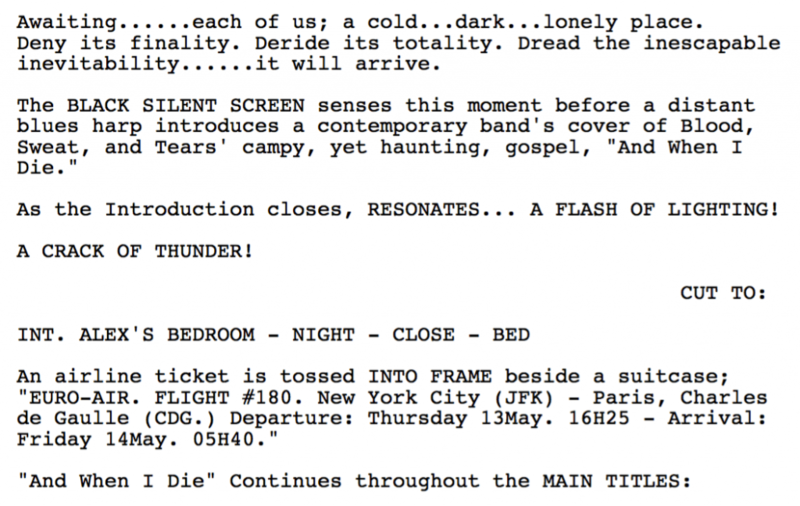 Do you have the script for the original film “The Amityville Horror” from 1979? Loved that movie! Can’t believe I had the good fortune to stumble onto this website. Thanks for doing the Lord’s work. He was able to make the story turn on very simple plot-points without the need to thread endless spaghetti. Thanks for amazing screenplays to read. Its asset for emerging filmmakers to understand the writing. Thanks for reaching out, Salman. Hi, thanks for taking the effort out to make this list. But I would like to know what the basis for selecting these particular scripts is. 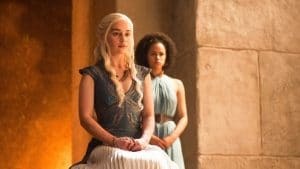 Have these films been critically analysed to understand whether they’re good, watertight scripts or is it based more on popular and critical consensus? I only ask because I’m really thrown off by The Dark Knight being on this and being described as a superior screenplay to Batman Begins and a good one in general. The film is ridden with plot holes and contrivances. And for its sheer brilliance on every level, BAD TIMES AT THE EL ROYALE. I really can’t understand how this critically praised thriller didn’t do better at the box office. It would help us to see how the TONS of music was integrated into this very intricate, bizarre and riveting storyline. Thank you! These are invaluable. Love to see “Doc Hollywood”. YOU ALL NEED PIE IN YOUR LIVES!!! One of Shane Black’s best action scripts with an incredible female protagonist. Amadeus and Gosford Park are great period pieces to read. For a more recent period (the 80s), the pilot for The Americans is great. Thank you so much, its a good blog! Hi I’m Prentiss and I’ve written the best love story script ever! ( Jesus died for our sins & in my scrip “Lacey died to save our world) best love story ever told. You guys are awesome. The only thing I would like to see for this site would be the Taken series. Keep up the good work! What about some of the classics? i.e. To Have and Have Not! The classics are great but the style of formatting and writing was definitely different back then. That’s why we’ve stuck to modern ones. Any special advice on writing screen plays based on historical figures or events ?